Four crisscrossing lines. That’s the simple way to describe the hashtag symbol. A hashtag is primarily a key phrase that is spelled without any spaces in between the words and prefixed with a “#’ symbol. For eg: #LoveWins, #AmReading, ##photooftheday, etc. Hashtags can be placed anywhere in a post, in the beginning, in the sentence or as an addition to the sentence. Of course, the hashtags you use and you place them will determine the response to your post. We will discuss more on that later in this article. Today, hashtags are one of the power tools of social media marketing. In fact, social media shares attain relevance and get the great response only when an appropriate hashtag is attached to them. In fact, hashtags have become so popular, that they have become to be used as instruments to measure happening trends and discussions in social media. Almost all the social media networks like Twitter, Facebook, Instagram, Pinterest, Google+ and LinkedIn support and use hashtags for social media proliferation. Twitter is the very first social network which adopted hashtags into its coding and sharing interface. With time, the trending and trending topics were also integrated into Twitter based on popular hashtags. Make sure you keep them under 2 per post for maximum engagement. Anything more can possibly bring down the engagement rate. In fact, tweets with 1-2 hashtags enjoy 21% higher engagement rates, while those with more than 2 see a dip in the engagement rate by 17%. If the hashtag does not fit into the tweet naturally, you can combine them as blocks towards the end of the tweet. If possible, pair them with images so that they will be crawled by search bots for search engine ranking. Run custom-made hashtag connected Twitter contests or campaigns which will fuel your brand’s social presence. Make it a point to skip using hashtags that other brands are using to keep your branded content above from the rest of the feed. Instagram, the image sharing website uses hashtags to discover related images for searches made by audiences. Without hashtags, your images will remain private and visible only to your followers. You can use the same hashtags used for Twitter or any other social network in Instagram too. 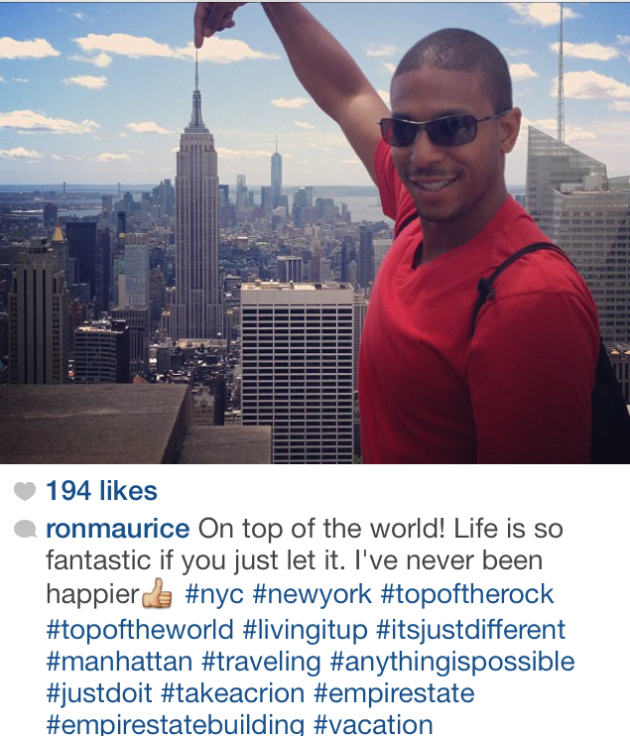 In fact, Instagram images with more than 11 hashtags get more 75% response as found by Buffer Social. The hashtags can be written along with the image caption or written in blocks separately without a caption. Adding a location to the image also helps reach out to more target audience in that specific region. Following the success of Twitter hashtags, Facebook also adopted the use of hashtags in statuses, image captions, page descriptions, etc. however, the initial reception was not anything impressive. The response rate for posts without hashtags fared better with those without hashtags. However, with time Facebook tweaked its code and made hashtags integral to all its posts. 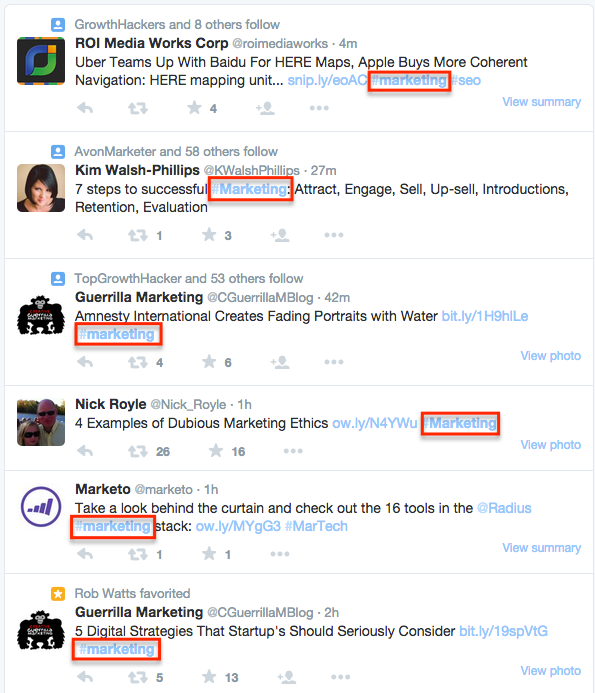 Now posts with 10+ hashtags receive average 188 interactions. In short, do not miss out on using hashtags for your Facebook posts too. Google+ actually takes the load off your shoulders to find and use hashtags. 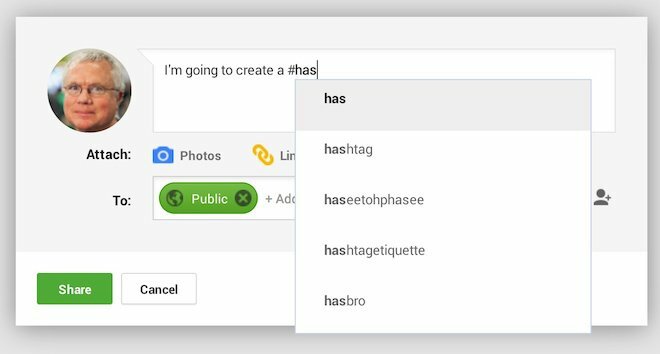 Your Google+ posts will be given hashtags automatically. You also have the option to edit them later, if required. Google+ also allows adding hashtags in comments thus improving visibility for your posts. Similarly, Google integrates all of the hashtags into its search algorithm thus maximizing the post’s search responsiveness. Furthermore, Google+ also offers related hashtags which help marketers to use alternatives to achieve maximum reach for their posts. While hashtags add muscle to your efforts to improve social presence, they need to be used with surgical accuracy to drive maximum effect. 5. Use them in relevance to trends. Don’t use a hashtag created for Christmas in Spring. Stay in the time zone. As businesses start to rely heavily on inbound marketing for lead generation and conversion, use of hashtags have become inevitable. This article aimed at enlightening you about the best practices in hashtag usage and also how various social networks respond to hashtags. If used properly, hashtags can turn a simple post into a beehive of activity. It can connect with the targeted audience and maximize value for businesses.